Your essential guide to the second Test between the Proteas and the Black Caps, which starts on Thursday. The good news is that the bad weather seems to be behind Wellington, with most signs pointing towards a full five days’ play. Even better news for the Proteas is that two of New Zealand’s guns, Ross Taylor and Trent Boult, are out injured. Boult was excellent in the first Test, picking up four wickets in the first innings, and unlucky not to get more than one in the second innings. Tim Southee should be able to do a job in his place, paired with the unrelenting Neil Wagner. Taylor’s absence, however, leaves a middle-order vacuum of batting experience. Kane Williamson’s wicket is always the biggest one, and his market value has increased substantially, with Neil Broom and Henry Nicholls expected to help him out at No 4 and 5. Broom will be making his debut, while Nicholls has made little impact in his 12-match Test career so far. Morne Morkel and Vernon Philander return to the ground which saw them pick up six-wicket hauls in 2012. Morkel’s 6-23 remains his best-ever figures, and he’ll be keen to build on a successful return to the Test format which saw him take 2-62 in Dunedin. 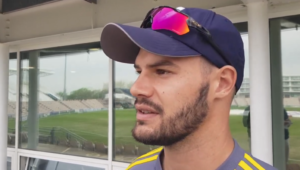 There are a few question marks hovering above the Proteas’ batting order at the moment, with Stephen Cook in need of a return to form, Hashim Amla looking vulnerable with his footwork, and JP Duminy not doing enough to suggest he’s a No 4 at the highest level. They all need to score runs to share the batting load that Dean Elgar and Faf du Plessis carried in the first Test. Quinton de Kock: It’s strange to think that De Kock is going into this Test under a bit of pressure, but that’s the situation that has been created by off-spinner Jeetan Patel, who has his number. Patel has got him out in the past four innings – in the last two ODIs and the Test in Dunedin. His scores have read 0, 6, 10 and 4. Expect to see Patel to come straight into the bowling attack when De Kock walks to the crease in Wellington. Everyone will be keeping an eye on this battle now. Two injury-enforced changes for the Kiwis. A straight swap between Boult and Southee is fairly straightforward, but you’re taking away over 80 caps of experience with Taylor’s replacement. There would be no reason to change the side otherwise, with two all-rounders, two seamers and a spinner forming the lower order. The Proteas are unlikely to tinker with their side, but another underwhelming display from Duminy could see the likes of Theunis de Bruyn knocking on the door. – Morne Morkel’s best Test figures of 6-23 took place at the Basin Reserve in 2012. – Hashim Amla (1 026) is 85 runs away from becoming the second-highest South African run-scorer against New Zealand; Jacques Kallis is first with 1 543 runs. – Vernon Philander is 30 Test runs away from 1 000. He has 34 wickets against New Zealand. His highest tally against a side is 37 against Australia and 35 against Sri Lanka. – Dean Elgar is 44 runs away from 2 000. – Kane Williamson is 63 runs away from 5 000 and needs one century to equal Martin Crowe’s record of 17. – South Africa have won four out of six Tests at the Basin Reserve – two coming since readmission. The Test in 2012 was a draw. 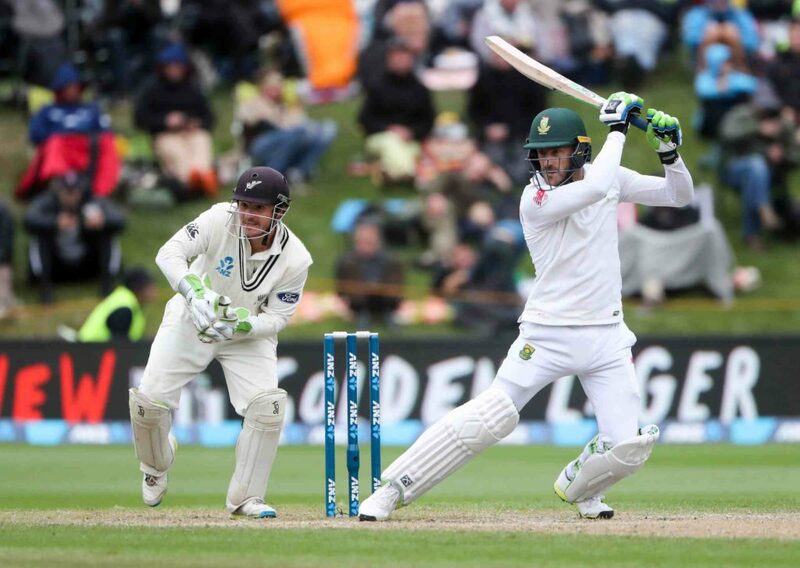 – The previous Test on this ground, against Bangladesh, saw New Zealand overhaul the biggest first-innings score to secure victory – 595 for 8 dec.
– The highest seventh-wicket partnership at the ground was set by South Africa. Jackie McGlew and Anton Murray scored 246 in 1953. – South Africa have never lost a Test series against New Zealand. This is their 16th series against them. They have won 12 and drawn three.